This is needed to swap your C5 A6, C5 S6 with 4.2l V8 and 5hp24 5-speed tiptronic transmission to a 0A3 B6-B7 S4 transmission! This is only required to be used on the Right Front (Passneger) CV. 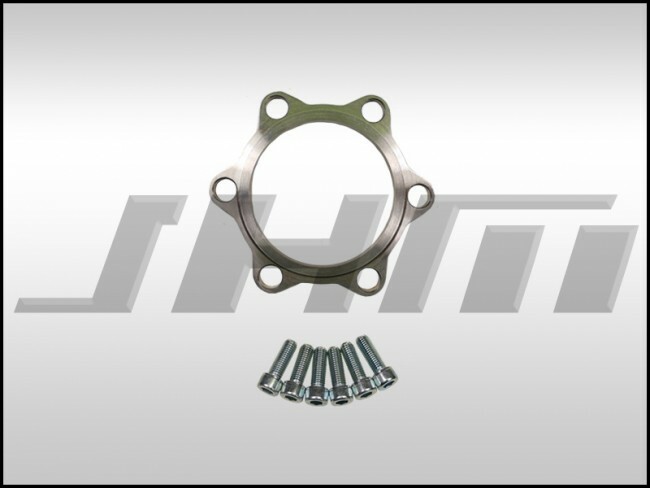 NOTE: To install an 0A3 B6-B7 S4 transmission you will need the JHM speedometer converter, JHM trans mount brackets, this product, parts from the list below and a software solution, contact us for details. Includes a Stainless steel spacer and set of Longer bolts to mount to the transmission! !